One week after suspending his presidential campaign, Ted Cruz said that he was leaving open the possibility of restarting his campaign if he wins the Nebraska primary on May 10. “We launched this campaign intending to win. The reason we suspended our campaign was that with the Indiana loss, I felt there was no path to victory,” he said on Glenn Beck’s radio program hours before the state primaries closed. “Well, I am not holding my breath. My assumption is that that will not happen,” he said. “More broadly than that, Glenn [Beck], you and I both want to see a president we can trust, a president we can trust with power who demonstrates the temperament not to abuse that power. 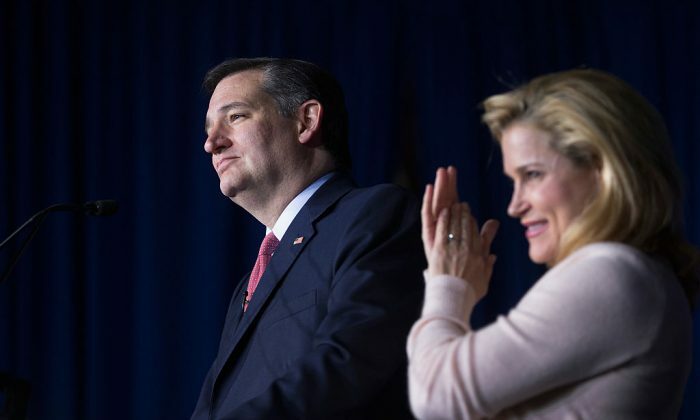 That’s what elections are about,” Cruz said. “This is a choice every voter is going to have to make. I would note, its not a choice we as a voters have to make today,” Cruz said when asked about supporting Trump. He joins a long list of Republicans, including Speaker Paul Ryan, who have so far not endorsed Trump in the general election. “The Cruz team really just wants to make sure the platform reflects conservative values so that conservatives are excited about turning out this November and in the future,” said Ken Buck, the Senator who chaired Cruz’s campaign in Colorado and plans on attending the convention as a delegate. It would not be unprecedented for a nominee to suspend their campaign only to then restart their campaign at a later time—in the 1988 campaign cycle, Democrat Gary Hart dropped out in May of 1987 after scandals alleging adultery only to restart his campaign in December of that year. Wounded by the scandals, his campaign performed poorly in the primaries and Hart dropped out shortly thereafter.